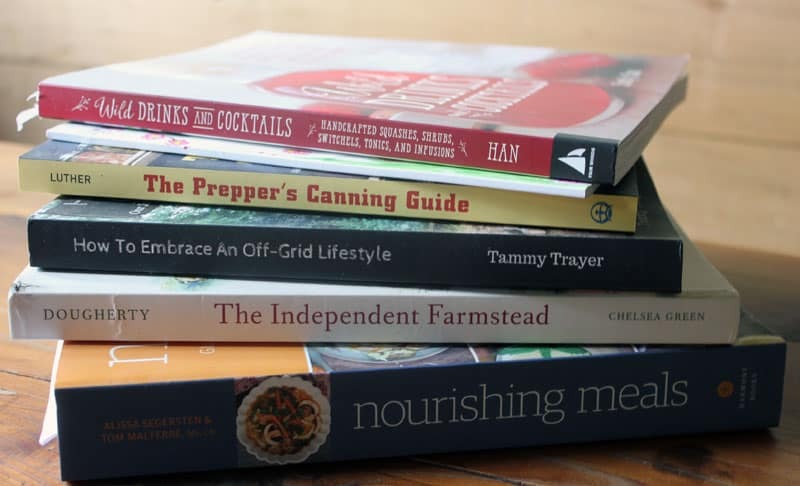 I’ve read some wonderful homesteading books this winter, filling me with ideas and inspiration. Even in the busy months of spring, I like to have a few books going at all times. 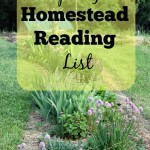 Here are a few homesteading book reviews to keep you inspired this spring! 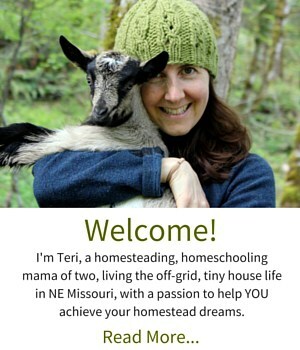 I’ve long awaited Tammy’s book as she and I were writing books about creating our off the grid homesteads around the same time. I was so curious to see how her experience differed from ours. I was not disappointed! Imagine sitting around a cozy dining room table, drinking a cup of tea, and hearing tale after entertaining tale of creating an off the grid homestead. That’s what How to Embrace an Off-Grid Lifestyle feels like. Tammy’s stories are heartwarming, realistic, and inspirational. I found myself crying more than once (in a good way :)) and nodding my head over and over again, as I related so deeply to her family’s experience of starting from scratch and working tirelessly and joyfully to build a home. Tammy’s family is wildly skilled in survival and wilderness skills, not to mention preparedness. (In fact, one of my highlights from this month’s Rootsy Member content is a video Tammy made about how to cultivate a preparedness mindset.) This combination of skill set and mindset has served them well as they’ve overcome adversity and thrived on their homestead. Janet Garman (of Timber Creek Farm fame) has produced an adorable children’s book about a kind-hearted farm duck named Margarita who bestows the greatest gift a duck can give to her farmer – more ducks! Peppered throughout with duck facts, the book takes you on a biological journey from egg to duckling, with a bit of farmyard drama thrown in for fun! Margarita and the Beautiful Gifts is the right level your early reader or as a springtime read-aloud – my 6 and 9 year olds really enjoyed it! I don’t particularly think of myself as a prepper, and I’ve never been shy about my feelings on canning (I’m not a huge fan of standing in front of a pot of boiling water in the heat of summer), so I probably approached The Prepper’s Canning Guide with a bit of negative bias. However, by the time I was one chapter in, I was drawn into the practical common sense approach that Daisy Luther brings to the table in encouraging people to look to their own pantries for preparedness. Focusing on organic, non-GMO food, Luther describes ways to maximize your food storage potential and save money by buying seasonally and in bulk. For instance, when your local farm has a huge sale on bruised apples, bring home several bushels and make enough applesauce to keep your family fed all winter, OR in an emergency situation. Luther offers dozens of pressure canned and water bath canned recipes to keep you inspired. If you find yourself buying cans of food at the store or purchasing freeze-dried preparedness foods, you may want to get a copy of this book and rethink your approach, turning to canning instead! Emily Han taps into her extensive herbalism and recipe development experience to create a book about wildcrafted beverages. Wild Drinks and Cocktails is not only a gorgeous book, but it is full of creative and fun beverages with names like squashes, switchels, kompot, and bounce! Who wouldn’t want to drink a Cherry Bounce?!? Featuring seasonal recipes like Dandelion and Chicory Chai, Rhubarb and Rose Sour, and Winter Gin, you will find both alcohol-containing and non-alcoholic beverages in this book. My favorites were ones that I could create from foods in my backyard – Goldenrod Tea, Elderflower Fizz, and Nettle Beer (you can find the Nettle Beer Recipe right here). Because Emily lives in Southern California, several of the recipes were not local to my bioregion, but I found plenty of interesting and somewhat exotic sounding creations to keep me busy for a long, long time! Whether you’re looking for a thirst quenching summer beverage (think shrubs! ), or wanting to find awe-inspiring drinks for a summer party or special dinner, Wild Drinks and Cocktails will inspire you to look to your backyard, garden, or farmer’s market to create delicious beverages that speak to the Wild in us all! 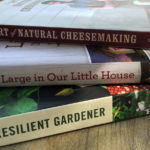 I’ve gotten used to a certain type of homesteading book from Chelsea Green publishers – an inspiring and educational read that describes the ins and outs of homesteading from the author’s point of view. Which means that depending on whose book you’re reading, you can find yourself dreaming over descriptions of hand built timber frame homes with slate roofs and rice paddies (as in The Resilient Farm and Homestead), an earnest, modest handmade life that integrates children into every day life (as in The Nourishing Homestead), or grass. Lots and lots of grass. Shawn and Beth Dougherty’s story of creating a lush, verdant homestead from a piece of land that needed restoration really inspired me. Their property, while years ahead of ours, is a living example of what we could create here on our homestead with time and grazing. Even in the few years of owning a family milk cow, we’ve seen significant improvement in our pasture. 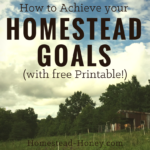 The Independent Farmstead sets your sights on a truly self-sufficient homestead. One where inputs are minimized by using grazing animals as a means of land regeneration, meat, milk, and more. 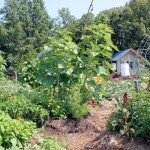 I also appreciated that their approach is very common sense and appropriate to the budget of most homesteaders I know. I mean, sure, who doesn’t want a slate roof? But also, who can afford one? I see my friends and neighbors trying to create homesteads on small budgets, and it’s important to have books that inspire frugality but that simultaneously demonstrate true abundance. One of my favorite chapters was that on water. Having lived without running water for four years now, I pretty much obsess over water. The Doughertys outline their practical ways of securing water for their homestead needs (primarily livestock) which include developed springs, rainwater catchment from buildings, and running creeks. And they also give weight to one of the biggest challenges we’ve encountered living in the Midwest – how to keep your animals in water even in the dead of winter. The book also dives into the basics of meat and milk, as well as basic animal husbandry, but what I most enjoyed were the chapters on The Farm, The Land, Grass, and Fencing. 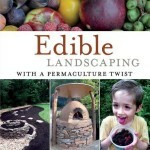 If you have interest in restorative agriculture or mob grazing, I recommend getting a copy of this book. A few years ago I bought The Whole Life Nutrition Cookbook on recommendation from a friend. When I saw that the authors had published a new book – Nourishing Meals, I immediately requested a copy from Blogging for Books. What I appreciated about this cookbook is that it is full of seasonally inspired recipes that you could reasonably create from ingredients that you already have stocked in your freezer, pantry, and garden. For me, this is absolutely the most important quality of a cookbook. If a cookbook asks me to buy a plethora of out-of-season, expensive, or specialty ingredients, it will sit on my shelf, unused. With hearty gluten-, dairy-, and soy-free recipes like Harvest Vegetable Soup, Roasted Brussel Sprouts, Sweet Potato Falafels, and Raw Kale Salad with Lemon Tahini Dressing (quite possibly the most delicious raw kale salad I have ever made), Nourishing Meals hits that sweet spot of health meets comfort food meets flavor. If I could change one thing about this cookbook, it would be to add more meat-based recipes. Nourishing Meals fosters an approach to health that starts with the freshest organic ingredients, non-processed foods, and boosting gut health. For a family with allergy issues or gluten-insensitivity, this book will be a great gift. Oh yes, thrift stores are a great source of books!! We have quite a few books here, and more in boxes in our tool shed!! Thank you for the nice review! 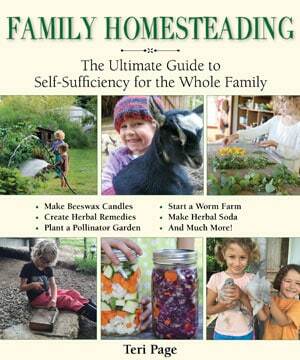 We’re glad you find our book practical — practicality should be the foundation of homesteading, shouldn’t it? Anyway, thanks and we hope you have a great summer, with rain just when you need it, and plenty of warm weather (but not too many flies) in the intervals between. Thank you Shawn and Beth. I did enjoy the book very much and appreciate the chance to review it! Enjoy the summer as well! Thank you for your choices of good books. Summer is coming and that is my favorite part of years when I like to sit in a yard and read.